Modi's entire speech at the recent launch of three gold schemes was ridden with inherent gender biases and that's a shame. You don't expect casual banter from the nation's Prime Minister, you don't expect gendered language. But being conscious about using respectful language towards women is not on the priority list for Modi. "From the day a girl is born the parents start saving for the gold to be given in her marriage. Our Prime Minister told the whole nation that we should keep this tradition alive." If there's one politician I absolutely loathe, it's Prime Minister Narendra Modi. Besides his chequered history as Gujarat's Chief Minister, I just find him extremely loud, crass, dishonest and downright creepy. The moment I hear or see him on TV my peace of mind goes for a toss, and so I never actually do hear or see him. I change the channel. 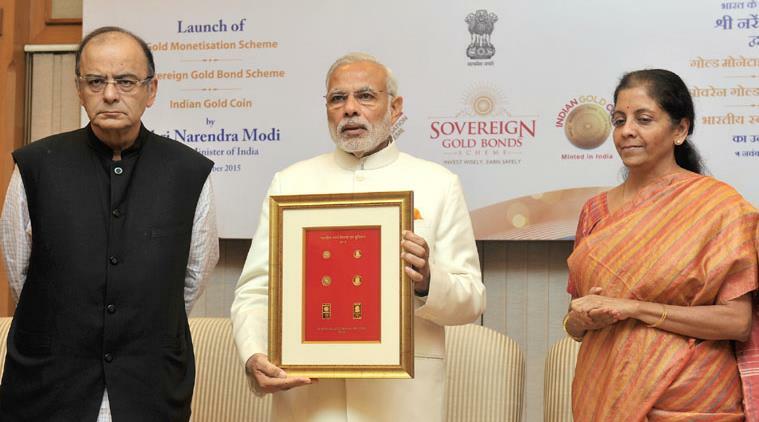 I never heard any of his speeches until I watched his recent speech at the launch of three gold schemes. I went on listening to him because he was making these terrible blunders one after the other and I was noting them down and wondering how much worse it could get. "In India, women don't have anything, house, car et all in the name of husband or son. But she has the gold. The way social structure is gold is a big weapon of women empowerment. She won't have home but she is owner of gold. Even the son would not question it, it is mother's they say. This is positive aspect of our culture that has provided for this women empowerment... we should carry on with this culture, our mothers and daughters should continue to feel safe knowing they have gold..."
Who can deny that the above statements make a brilliant justification for the practice of dowry in our culture? Who can deny that the foremost use of gold in our country is in marriages as bridal jewellery which is nothing but dowry? From the day a girl is born the parents start saving for the gold to be given in her marriage. Our Prime Minister told the whole nation that we should keep this tradition alive. Dear prime minister, you no longer call them disabled, they are differently-abled, and similarly you don't go about announcing to the world that women have nothing except the gold they bring in dowry, howsoever true it might be. Because such statements will only add to the violence of "Dahej mein kitne tola sona layi hai? (How much gold did she get in dowry? )," now that you have made it official that women do, and will always depend upon their gold. Before coming to the crux of the speech he casually joked about the wife of the Reserve Bank Governor and her demand for gold. This reference towards was meant to be an example of how difficult it is to bring people out of their preconceived notions. With a hearty laugh he said, "Arthashastra alag aur grihashastra alag (Economy is one thing and domesticity is another)." Well done Mr Prime Minister, it was just what we needed: casual jokes about women's greed for money, gold and jewellery and man's inability to reason with women because they do not understand ways of the world, from economy to politics. Moving on, through the speech, every verb used by him was in male gender: family goldsmith hota hai, America mein rehene gaya hoga, dhundega, showroom mein jayega, sonhar ke paas jayega...Sigh! This world has no women. Women might own the gold, but everything to be done with the gold is being done by males in Modi's narrative. How cruelly ironic that is, do you realise Mr Prime Minister? "Modi should know where to stop because his somewhat well intentioned speeches far too often quickly fall into deep chasm of drivel." The way Modi spoke in that speech was a text book example of gendered language. Women are always referred to in relational terms (mothers, daughters, wives) never as independent individuals while men are referred to in occupational terms (goldsmith). Women are made subject of marriage jokes, and once again referred to as "your wife", his wife (in this case RBI Governor's wife). Generic terms are masculine (mankind) and relatively smaller objects are feminine (kitchenette). When one man talks to other men and refers to all generic terms in masculine what he essentially is doing is imagining himself and other men as "us" and the women as non-existent "others". "She is defined and differentiated with reference to man and not he with reference to her; she is the incidental, the inessential as opposed to the essential. He is the Subject, he is the Absolute - she is the Other." Modi's entire speech was thus ridden with inherent gender biases and that's a shame. You don't expect casual banter from the nation's Prime Minister, you don't expect gendered language. You expect the Prime Minister to measure each word before saying it. But being conscious about using respectful language towards women is not on the priority list for Modi. He has done this earlier also, when he lauded Bangladesh Prime Minister Sheikh Hasina's courage "despite being woman". Besides the gendered language the content of the speech was equally problematic for me. I don't think the narrative "gold is for women, their only security, we must keep the tradition of gold obsession alive" is very empowering for women. Should women be identified with gold to this extent? Perhaps Modi should know where to stop because his somewhat well intentioned speeches far too often quickly fall into deep chasm of drivel. Investing the inactive gold in banks is perhaps a noble idea but to equate that to woman empowerment, or to fan the tradition of extravaganza in marriages or to say that the gold alone will end poverty...drivel alert there Mr Modi.